So you’ve got bad or challenging credit. A little financial trouble or a rocky past doesn’t keep you from needing a car–quite the opposite, in fact. So, what do you do when you’re in need of a new vehicle but your current credit score is less than stellar? First, stop worrying. 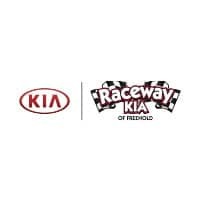 At Raceway Kia in Freehold, NJ, we have options and a path to getting a car that will help people with challenged credit. These days, it’s more than merely inconvenient to get around without a car. For most of us, such a thing is barely even possible. To do everything you need to do in one day, fast-moving transportation is vital. But you’ve got bad credit! What’s your next move? Whether you’re struggling to pay off debt or in search of a new job, purchasing a new car is within reach. You can certainly pursue outside financing for yourself. Vendors like Auto Credit Express offers special financing for a wide range of drivers. If you’d prefer bank financing, Capital One has options for buyers with bad credit. But honestly? Come see us at Raceway Kia. We work with a wide variety of lenders and can take the guesswork out of what you need by helping you find the deal that works best for you. If you’ve been shopping for auto financing to no avail (or the whole finance thing just seems like too much to handle), let us help. At our Freehold, NJ dealership, you can purchase a car, lease one, or finance one. In fact, many drivers prefer the convenience of our one-stop-shopping-and-financing experience. You can skip the hassle of searching for a loan altogether. We offer a wide range of financing options, from the traditional auto loan to buy-here-pay-here version. Our financial team will take your unique situation into account and come up with the best possible payment scheme. Even if your credit report is limiting your finance options, it doesn’t mean that you have to drive home in a car that’s anything less than perfect. Our Freehold, NJ new and pre-owned inventory is stocked with family-friendly minivans, sporty crossovers, and thrifty compact cars. We even have plenty of low-mileage used options that deliver a dependable performance.